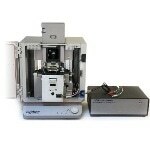 The Asylum Research Interferometric Displacement Sensor (IDS) Option incorporates an autonomous, quantitative measurement of cantilever displacement to the Cypher AFM, complementing the regular optical beam deflection (OBD) technique. OBD is usually used in commercial AFMs; it is comparatively easy to execute and remarkably quiet across a broad dynamic range. However, it is essentially proportional to angular changes rather than displacement, and interpreting the tip displacement necessitates an accurate model of the cantilever mode shape. 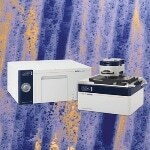 While adequate for certain AFM measurements, it can result in errors in others. 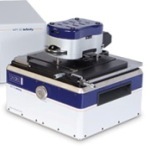 The IDS solves this shortcoming by offering a complementary, quantitative measurement of cantilever displacement across all dynamic measurement modes. Displacement sensitivity is intrinsically calibrated by the wavelength of light (λ = 632.8 nm). The IDS option does not affect the regular OBD measurement or other standard functions of the AFM. 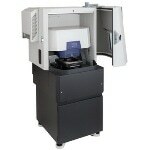 The IDS detection laser can be positioned anywhere in the field of view: on the cantilever or the sample, or programmed to step through a range of locations. 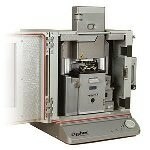 The technology can thus be used in a wide range of measurements, from quantitatively characterizing material properties, to enhancing one’s understanding of cantilever dynamics and the confines of traditional AFM measurement modes. 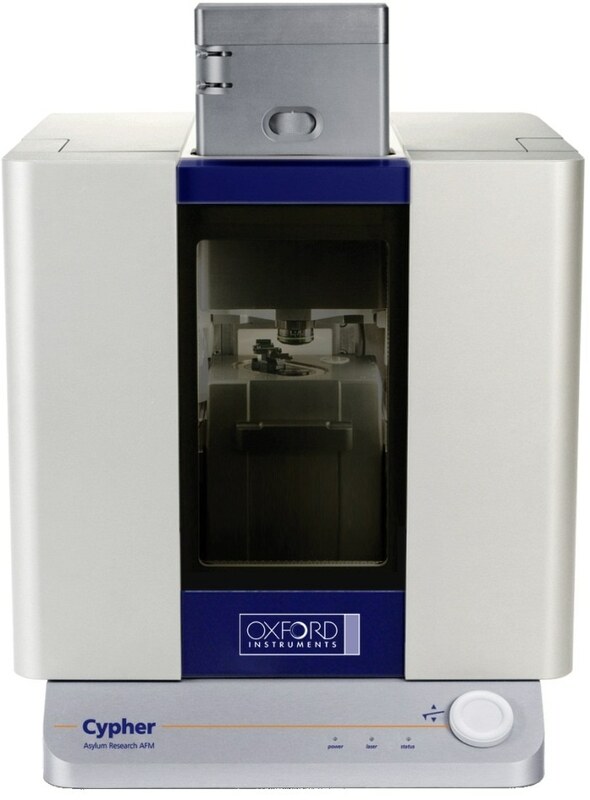 The IDS Option quantifies the “last axis” in atomic force microscopy. The OBD signal can be misinterpreted when the cantilever diverges from its estimated or modeled shape. In contrast, the IDS offers an absolute measure of cantilever amplitude and deflection. OBD-based calibrations depend on assumptions about cantilever mode shape. 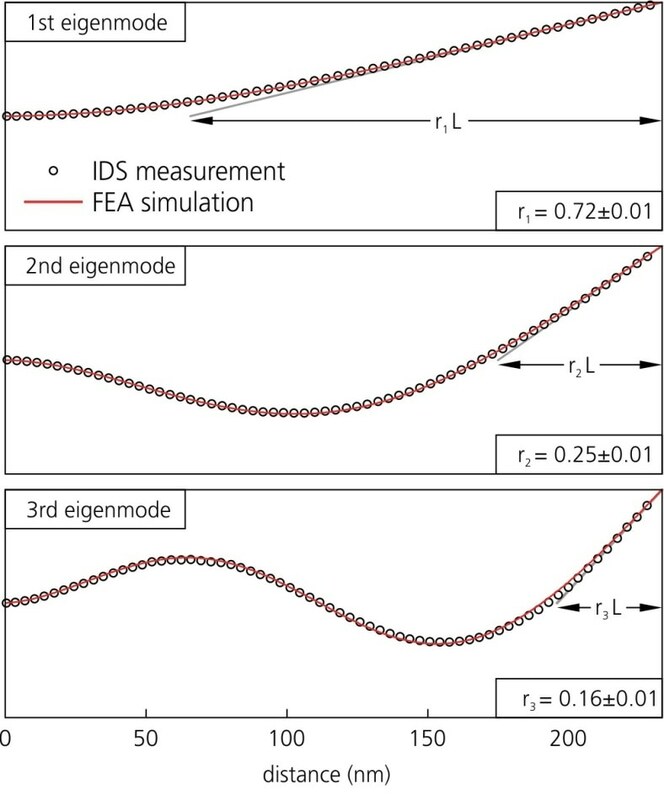 In contrast, the IDS can directly calibrate the sensitivity and stiffness of the first and higher flexural modes. 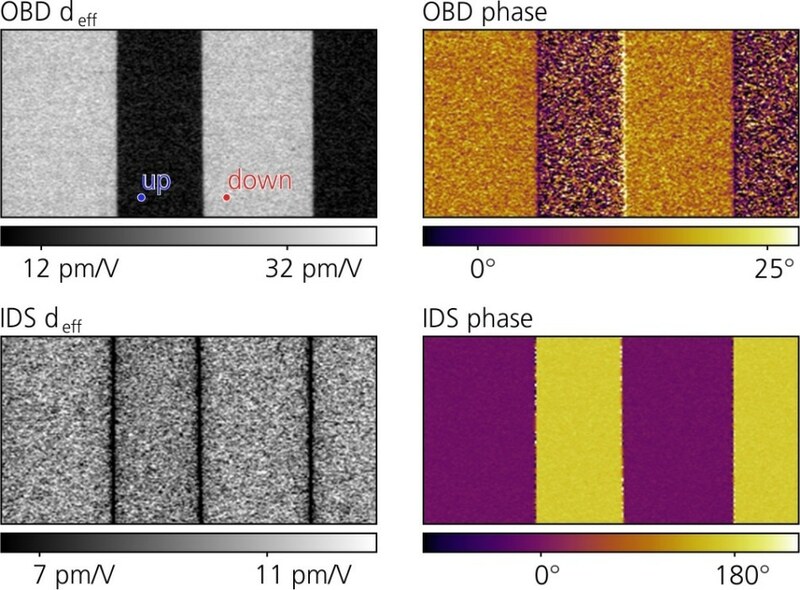 Piezoresponse Force Microscopy (PFM) is a robust tool for nanoscale imaging, spectroscopy, and manipulation of piezoelectric and ferroelectric materials. Nevertheless, and despite major efforts, it can still be difficult to quantitatively resolve the true coupling between a material’s mechanical and electrical phenomena at these very short length scales. 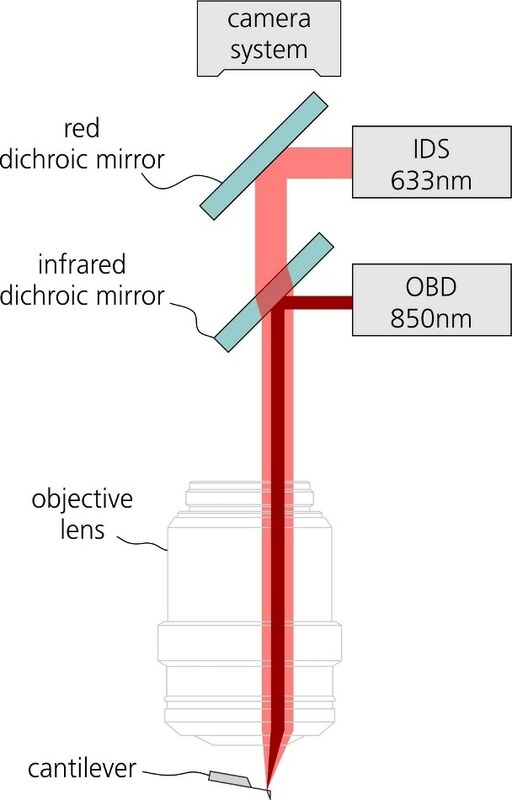 A Periodically Poled Lithium Niobate (PPN) test sample is a beneficial model system for examining the origins of measurement artifacts in electromechanical measurements. Frequency-independent response: The small size of the intermittently poled domains means their ferroelectric response is considerably faster (~GHz) than the bandwidth of the AFM measurement. Phase shift of 180° across oppositely polarized domains: Domains are slanted perpendicular to the sample surface. 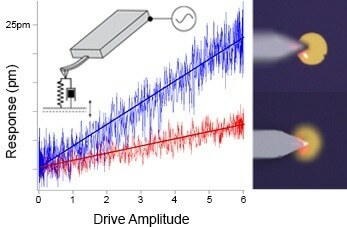 Characteristics 2 and 3: Phase Shift Is 180° and Amplitude Does Not Depend on Polarization Direction (above): Effective piezoelectric sensitivity deff and phase domains measured simultaneously by OBD and the IDS. The IDS channel correctly shows the amplitude is the same and the phase is 180° out of phase in the oppositely poled domains. Drive frequency: 25 kHz. Scan size: 5 μm x 10 μm. Characteristic 4: Quantitative Measurements Are Repeatable (above): The graph shows the results from five different cantilevers. The histograms of the effective piezoelectric sensitivity, deff, derived from the OBD channel (in blue) show variations of an order of magnitude, and the results from each measurement have two maxima, originating from the “up” and “down” domains. 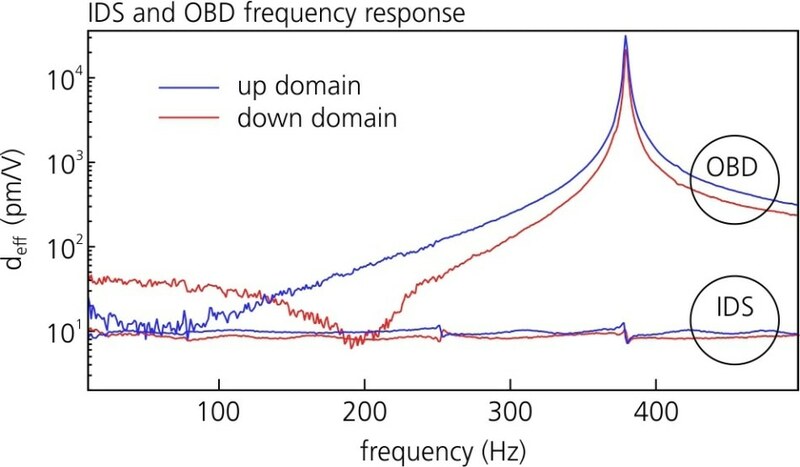 In contrast, the results derived from the IDS measurements show consistent results for piezoelectric sensitivity (in red), with no dependency on domain direction. Multimodal methods use two or more cantilever flexural modes to quantitatively map material viscoelastic properties,expanding the need for accurate cantilever calibration to higher eigenmodes. IDS can basically and accurately characterize the stiffness of any eigenmode (up to 2.5 MHz) for any type of cantilever. Quantitative mechanical or electromechanical property measurements need an accurate model of the tip-sample contact stiffness. The IDS permits comparisons between the sample movement and the cantilever displacement, with the difference between the two defining the stiffness of the contact. Above: Tip-sample stiffness effects in piezoelectric sensitivity measurements. The IDS was used to measure the true displacement of the gold pad (blue) and the cantilever (red). The gold pad is the top surface of a lead zirconate titanate device. In this experiment, it is actuated by applying a bias through the cantilever. The cantilever is moving only 50% relative to the sample expansion indicating that at this load, the contact stiffness is roughly equivalent to the cantilever stiffness. Quantitative, dynamic material property mapping methods are only as accurate as the characterization of the vibration mode. For any particular experiment, there are a number of factors that can result in a deviation from an anticipated cantilever mode shape: non-uniformities in the dimensions or stiffness of the cantilever, weakly characterized cantilever drag (from working in liquid), or weakly characterized loading (because of interactions with the sample surface). 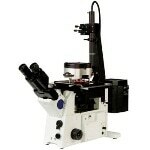 IDS can be employed to quantitatively measure the mode shape of any type of AFM cantilever in any type of medium. 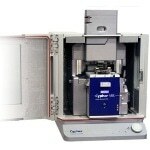 The IDS interfaces the existing optical system of the Cypher AFM with an external laser Doppler vibrometer. 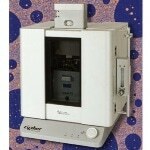 It does not change or interfere with the instrument’s standard functions.